Tokyo Game Show is just a couple of days away and Square Enix released a new trailer for Kingdom Hearts 3 showing off the new Big Hero 6 world. 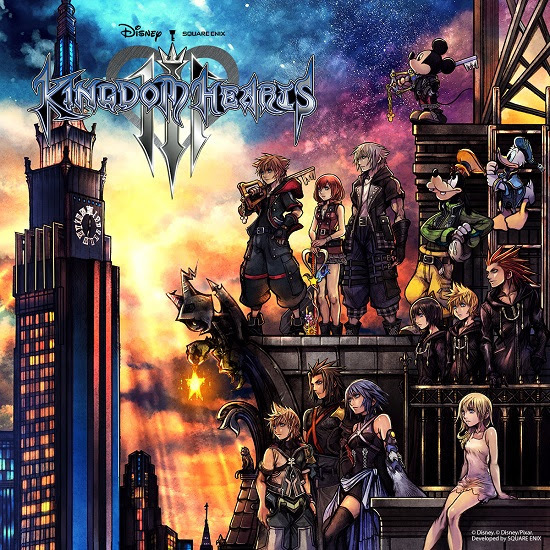 In addition, Square Enix revealed the cover for Kingdom Hearts 3 drawn by Tetsuya Nomura himself. The trailer begins with a fairly dramatic chess scene between good and evil before traveling to the Big Hero 6 world of San Fransokyo. The Kingdom Hearts 3 trailer then montages to the various worlds featured in the game like Pirates of the Caribbean world, Frozen world, and more. It's a dramatic trailer that doesn't make too much sense to a Kingdom Hearts newbie like me, but will no doubt get long-time fans excited. Familiar characters return, some are back all wrong though (Aqua) while the roles of other characters are still a secret. Lastly, here's the official box art for Kingdom Hearts 3 featuring a whole cast of characters that span across the Kingdom Hearts series. This is likely the final box art, though it could be subject to change before its January 29 release date. For more, check out our Kingdom Hearts 3 guide with the latest news, previews, and release info and get ready when Kingdom Hearts 3 comes to Xbox One and PlayStation 4 next January. Tagged with News,	PlayStation 4,	Square Enix,	tokyogameshow,	Xbox One.